Capital Antiques and Fine Art, A 19th Century pierced brass with silver inlay hanging Incense Burner. Damascus, Syria. 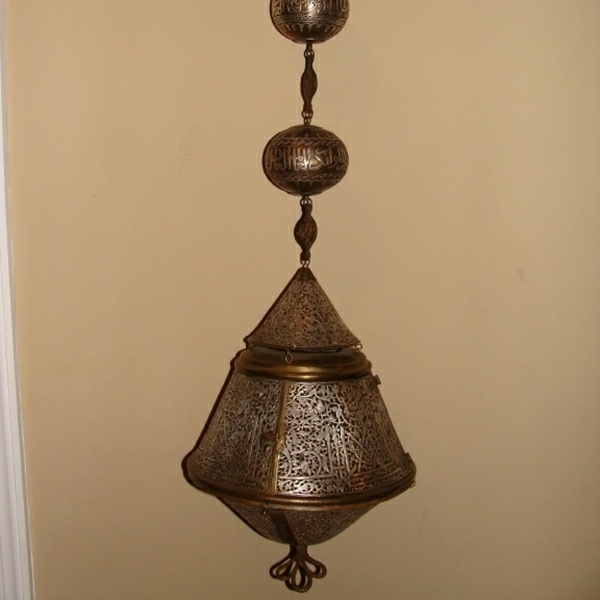 A 19th Century pierced brass with silver inlay hanging Incense Burner. Damascus, Syria. Very rare.